workplace environmental hazards and safety policies. There are dozens of statistics on eye protection in the workplace and safety standards to prevent these injuries, but what about working at home? The materials and chemicals we work with and activities we engage in our normal course of cleaning, maintenance and hobbies involve a surprising amount of risk to our eyes but few of us own our own pair of safety glasses, much less remember to wear them during chore time. Many people think that they don’t need eye protection at home. After all, activities tend to be fairly low-key and you’ve probably never heard of someone who blinded themselves doing normal household tasks. Even people who are aware that certain activities could be risky figure that since they wear prescription glasses, this is just as good as a real pair of safety glasses but this is perhaps the most dangerous misconception about safety glasses in our society. If you wear prescription glasses, the best thing you can do for yourself and your eye safety is to order a pair of prescription safety glasses to wear around the house. With access to internet guides and YouTube How-To videos, people are doing more DIY than ever. After all, why call a plumber, electrician, or construction contractor when you can potentially build or repair something yourself with no cost but for parts? However, there’s something you should know about taking traditionally professional tasks into your own hands: 40% of all on-the-job eye injuries happen in the service industry, meaning mechanics, plumbers, electricians, appliance repair, and so on. If the professionals can still hurt themselves, you have every reason to take a few additional precautions when doing amateur DIY projects at home. Carpentry puts sawdust into the air (not to mention swinging hammers), construction often involves the risk of things falling on you or coming loose, and even plumbing can result in accidentally getting a face-full of dirty or debris-filled water. Then there’s the concern of keeping sparks out of your eyes when working with electricity. 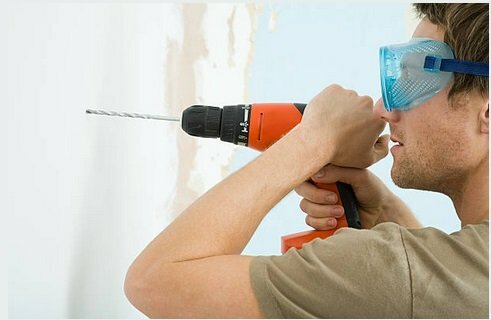 No matter what kind of DIY you’re working on, make sure to wear the right kind of eye protection for the job. Leaf blowing, weed-whacking, and mowing can all potentially throw bits of loose and chopped-up leaves, grass, sticks, and dirt into the air and potential into your eyes at quite a high velocity while trimming, weeding, and pruning, particularly when working with trees and bushes, adds the risk of a branch either springing back to hit you in the face or possibly even falling from above. While it should be perfectly safe to replant your begonias, any serious yard work involving sharp or powered tools should be done with the proper eye protection. There are two ways to clean your gutter, each with their own associated risks. The most common way is to carefully move a ladder around your roof. At each point, you can manually clear out the sticks, leaves, and random debris from your gutters and clear the sediment with a small trowel. However, if you’d prefer not to move and climb a ladder fifty times in a single day, you can also work with a long leaf blower attachment and a gutter sweeper on a pole. This is an incredibly popular way to manage gutter cleaning because it’s easier on the knees, more time efficient, and is overall the safer decision as ladders are always an added risk. However, even though you’re not looking directly at the inside of the gutters, using these long gutter cleaning tools involves looking up while dislodging debris above your head. As you might guess, the risk of anything ranging from acorns to loose dirt falling into your eyes is quite high in this situation and you’ll want full eye coverage. When cleaning your gutters using a long tool, make sure that the safety glasses you’re wearing get close to fully enclosing your eyes because the angle you’re working from can result in items falling at odd angles and could potentially even get behind your safety glasses without an upper protective ridge or a close fit. The chemicals you clean with at home are surprisingly powerful, often much stronger than anything you played with during high school science class. Bleach, ammonia, even fabric softener is incredibly dangerous if accidentally splashed into your eyes and you don’t have access to a quick eyewash station and a professionally trained chemist like you did back in school. Unfortunately, almost no one thinks of this risk when they start their normal cleaning routine. For most, nothing seems safer than a few sedate household chore that don’t involve ladders or sharp objects and it’s all too easy to forget the caustic quality of chemicals. The fact of the matter is that anything that you’d want to wash off your skin should be kept far away from your eyes. The vast majority of accidents are because people assume that accidents only happen to other people but you never know if at some point while cleaning you’ll slip, set a jug down too firmly causing a splash or even squeeze out a sponge in a way that sends a small spurt of chemicals in an unexpected direction. As a rule of thumb, anything you’d put on rubber gloves for or keep out of reach of small children should only be worked with after you put on a pair of splash-protecting safety glasses. Safety glasses are generally considered something only worn while ‘working’ either officially at your job or casually at home. However, just because an activity is recreational doesn’t mean you don’t need eye protection. Many kinds of sports including paintball, baseball, hockey, and fencing involve projectiles and equipment that could easily hit someone in the face with a single stray motion or accidental collision. From professional sports to kid’s games, eye injuries happen all the time, usually because no one on the field is wearing eye protection. 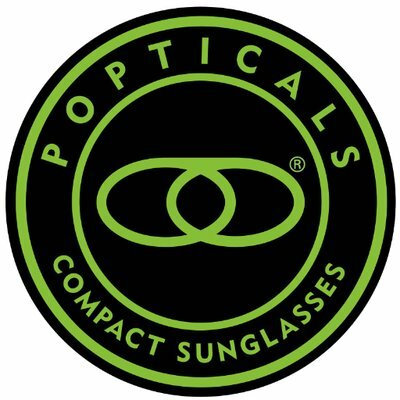 Fortunately, you can get safety-rated glasses in sleek sunglasses designs so you can look cool on the field while keeping your eyes safe at the same time. Safety glasses aren’t just for workplaces where they make you wear them due to industry regulation. If you value your vision and the safety of your eyes, you have every reason to invest in prescription safety glasses for home and household activities as well as occupational tasks. 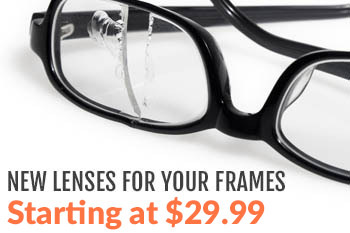 For more information about how to find, choose, and order your pair of prescription safety glasses, contact us today!